We were looking at buying and leasing cars for last week's Finance Fridays. For this week we are talking about how to get rewarded for our everyday shopping. There are a number of mobile phone apps that offer discounts, freebies and rewards for buying certain products and also sending in photographs of your receipts. The reason companies offer such incentives is to promote new products but also to analyse shopping trends. 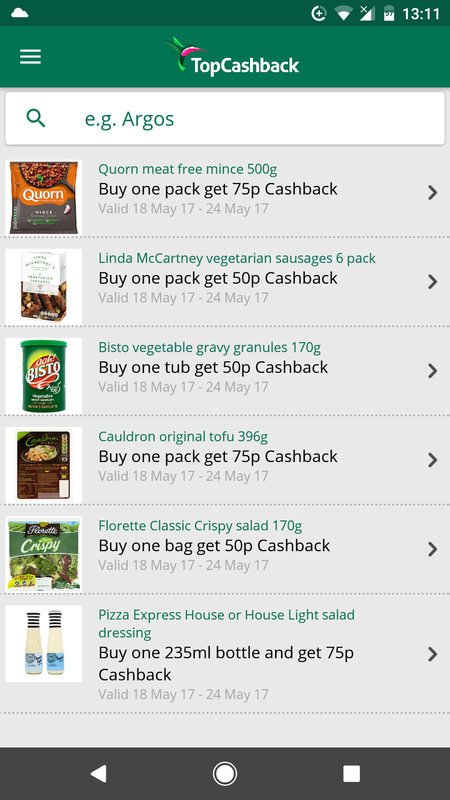 Supermarkets with loyalty cards schemes have been able to do this for years but other companies don't have access to this information. Therefore they go straight to the consumer to provide them with it. There are two types of apps that I use on a regular basis. The first ones you need to buy a specific product in order to get a discount on it or sometimes they are completely free. You then scan your receipt which shows the product and then your cashback builds up until you withdraw it or sent directly to your PayPal account. With these types of apps there are several things you need to think about. If you don't usually buy that product is it money saving if you are just getting it for the sake of it? 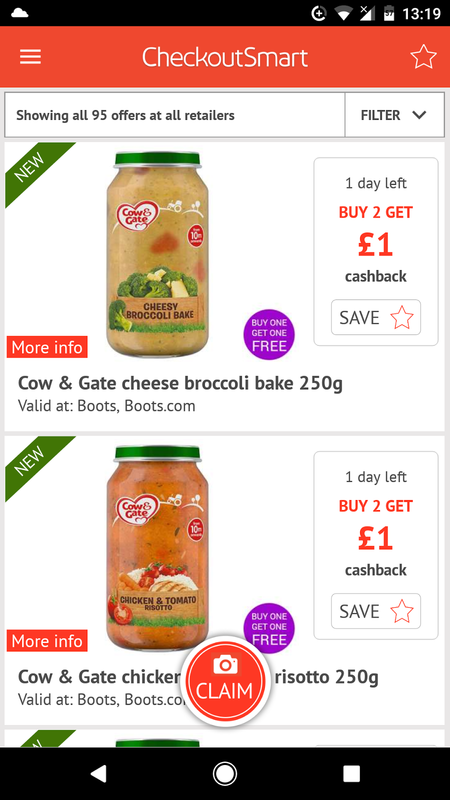 You may also find own brand versions of the products are still cheaper even with the cashback. Also check that the item advertised is the exact one you buy and it is from a valid shop. Some offers are exclusive to certain supermarkets. The second type of shopping apps are those which simply require you to scan your receipts in. Once you accumulate points these can be exchanged for vouchers, cash or used as competition entries. This app may seem to have less offers but I have found them to be more generous either in the discount given or the product is free. Once you have scanned the product barcode and receipt it is processed by Shopimum and then the amount is transferred automatically to your PayPal account. There are no minimum limits and you don't have to request it either. If you use code KFYEFECH to sign up you will get a free box of Cornetto. These are both run by Quidco which means if there is the same offer on both apps at the same time you can only claim it once. This is something which isn't immediately obviously. 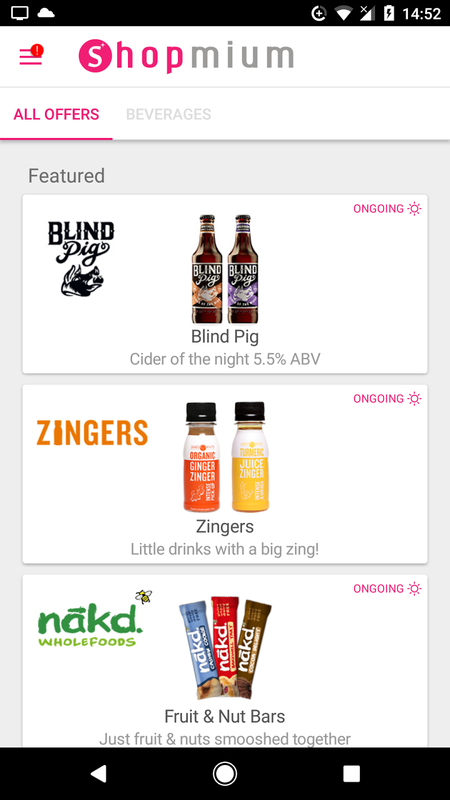 One handy feature is the ability to filter offers to a particular supermarket. Your cashback amount is then added to your overall Quidco account which you can then withdraw as you normally would. If you sign up to Quidco here you'll get £5 credited to your account. 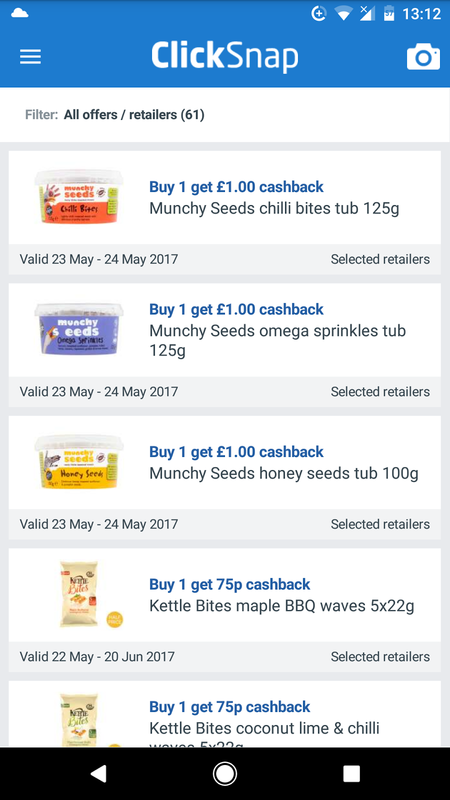 If you already use TopCashback for cashback on your online shopping you can also get discounts on your grocery shopping as well. 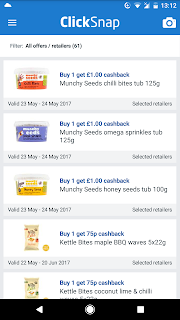 This is similar to the Clicksnap and Checkout Smart apps but it is already on the TopCashback app. Simply look under the 'In-store' section and go to the 'Groceries' section. 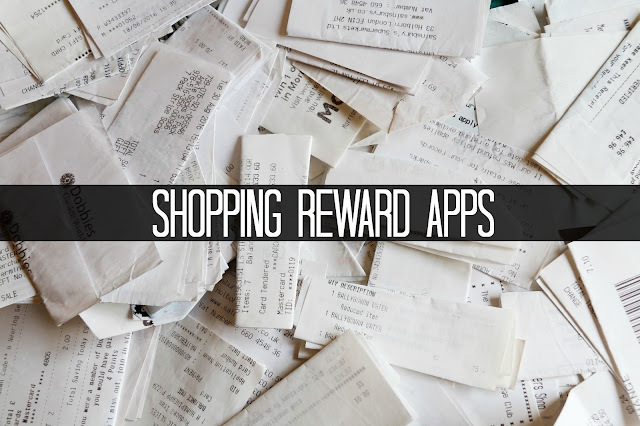 These apps are both based on scanning receipts and getting reward points for them. Each receipt you get simply use the app to snap a photo of it and you will get 120 points. Once you reach 10,000 you can cash out by getting a £5 Amazon voucher. It may sound a lot of points to rack up by if you log into the app each day you get bonus points and after several days of continual use you will get 60 points each day. You also go up in reward levels and this gets you more points as you go up. I've been surprised how quickly the points mount up and I have cashed out four times already this year. There does seem to be a daily limit of 5 receipts and they need to be dated within the last 14 days. The 'prize' part of the app is that you can swap points for prize draw entries. I've never done this as I would rather collect the points. If you want to sign up use referral code yhwl4. This works in a similar way to Shopprize UK but without the prize draw element. By scanning your receipts you are then rewarded a selection of points (coins), sweepstake entries and slot spins. The number of points you are rewarded are based on where the receipt is from and how much it is for. Usually all supermarket receipts are rewarded with coins. Some other receipts are also given coins but you get a sweepstake entry for the monthly draw where you can win more coins. Other receipts are granted slot spins which gives you the chance to get more points. It sounds complicated but I simply snap the same receipts that I do with Shopprize UK. Again receipts need to be less than 14 days old and there is a weekly limit of 100 coins per week which you can earn. It takes longer to cash out but you can do so either through Amazon vouchers or directly to your PayPal account. Do you use shopping award apps? How much have you made through them? Offers, prizes, receipt limits and points correct at time of publishing. Please note these are subject to change at any time. This post contains affiliate and referral links. If you want to join in with this week's Finance Fridays then add your link to the linky below. Any post concerning financial matters is allowed. Full details here. It doesn't have to be published today as you have until 23.55 on Tuesday 30th May 2017 to join in. I like Shopmium because you get the goods for free a lot of the time. Generally I don't take part in the offers otherwise. I've found it really easy to use. 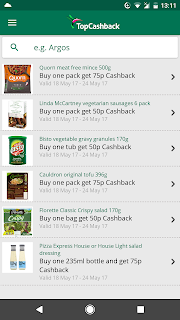 I've tried Checkout Smart, but haven't really liked it as it always seems to cover branded goods (which I rarely buy anyway) and it doesn't allow you to have the full cost back. Sometimes a deal is worth it, but I find it takes more work than I'm prepared to put in to see which ones.